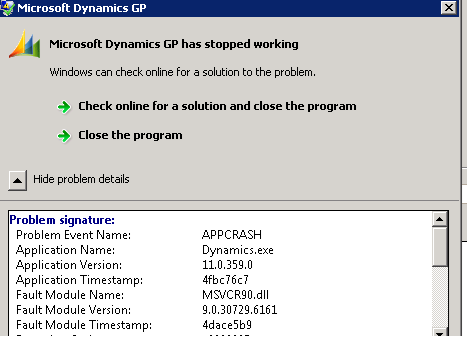 Error: When emailing statements from Microsoft Dynamics GP 2010 you will get an appcrash with faulting module MSVCR90.dll. 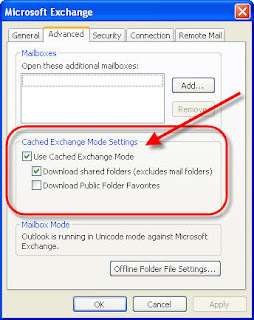 MSVCR90.dll relates to visual studio studio 2008 C++ but most likely this is not the cause of your issue but it may be worth trying to reinstall it if it appears to be missing. 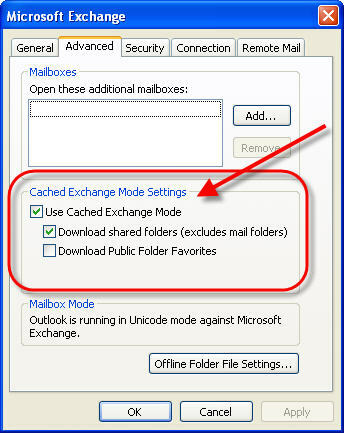 In Outlook left hand pane - > right click your email and goto data File properties and then the Advanced Tab - Make sure Use Cached Exchange Mode is ticked. 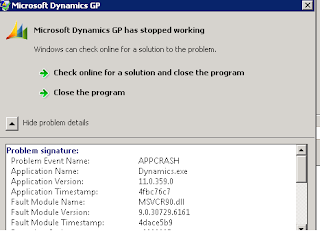 hit OK close and restart outlook and retry your dynamics GP emails.